We had a really nice time for Spring Break in the Pacific Northwest. 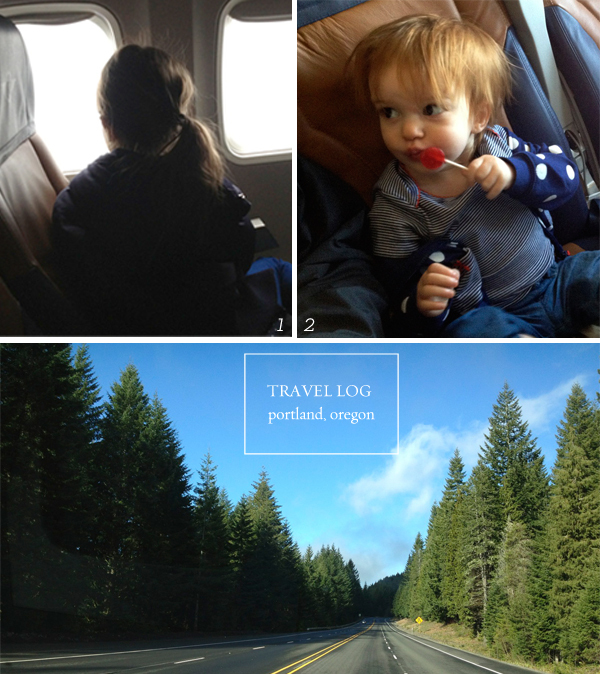 Here are a few tidbits from our trip of my favorite places and moments along the way. 1. I used to think traveling with kids was a breeze. Our oldest is and always has been an excellent traveller, we don't know if it is because we took her lots of places when she was tiny or what, but we really lucked out on her wanderlust nature. 2. Ahem... enter child #2 (India) she is not a happy traveller AT ALL and has been that way ever since she was born. Sometimes I don't think she likes to be moving unless it is with her own two feet. In fact, it is quite insane and comical how unruly she is on a plane and in the airport. Tantrums to the hilt, the whole nine yards and boy it is a little embarrassing. We even resorted to the backup 'code red' emergency lolli. (I rarely give her sugar - so it is an extra treat) which only lasted for a few quiet minutes. Do you have a child that travels one way or the other? 3 Shortly after we arrived we stopped by the lovely shop Canoe in Portland. It is such an amazing shop and has to be added to my list of my all time favorites. It is impeccable curated and my husband really enjoyed it as well. We took turns waiting with the kiddos in the car as we each ran in and out, do you ever travel that way? We picked up a few treasures, some great gifts for the future, and we both added items to our wish list. 4. 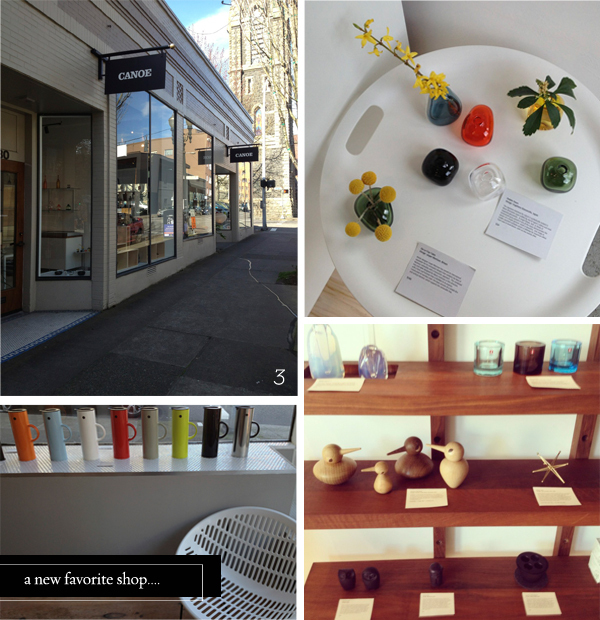 Across the street and close by to Canoe is another wonderfully curated gem called Alder & Co. It quickly became another top notch favorite and I was equally charmed by the items, layout and shop owner who I chatted with for a bit. 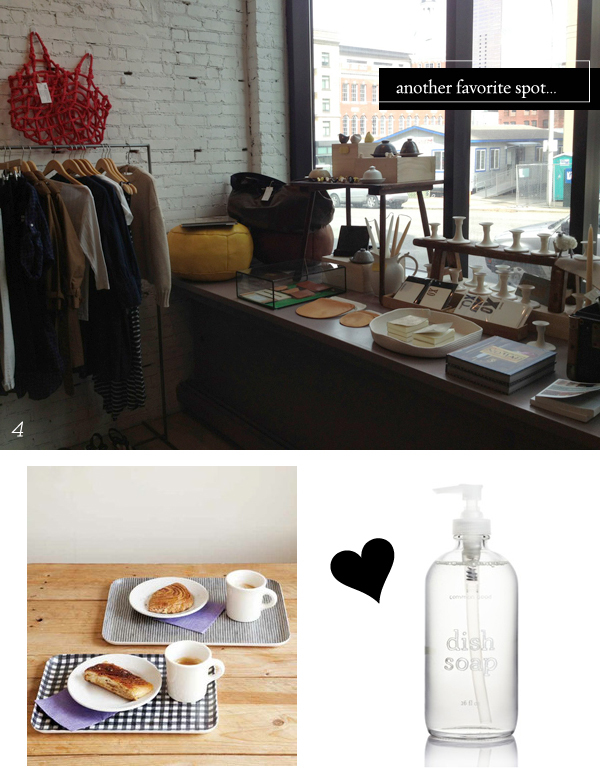 I picked up some Fog Linen Trays and Common Good Dish Soap and pretty much wanted to add almost the entire store to my wish list, no joke. It is really fabulous. Next time I hope to pop into Gruner next door for a bite to eat, it also looked really great. 5. Circling back to Portland at the end of our trip, I heard about the buzz for Pok Pok and just the two girls and I went and it couldn't have been a better experience. The covered and heated outdoor patio was perfect and cozy for us, the staff was beyond kind and the food was sensational. Next time I'm in Portland I can't wait to take Mac and my sister-in-law and family here to try it again. Thanks for all of your Portland tips, we hope to hit up this city again real soon. What shouldn't be missed next time around? I love that you travel with your kids. I NEED to do that. My second baby is the same way, even now at 5 1/2. Hates traveling and has hated a carseat since he was born. Traveling with him is torture. My husband went to Portland in January for business and ate at Pok Pok as well (it had been on Diners, Drive-ins and Dive's a while ago) and he said it was dirty and disgusting and he was sick for 2 days afterward. 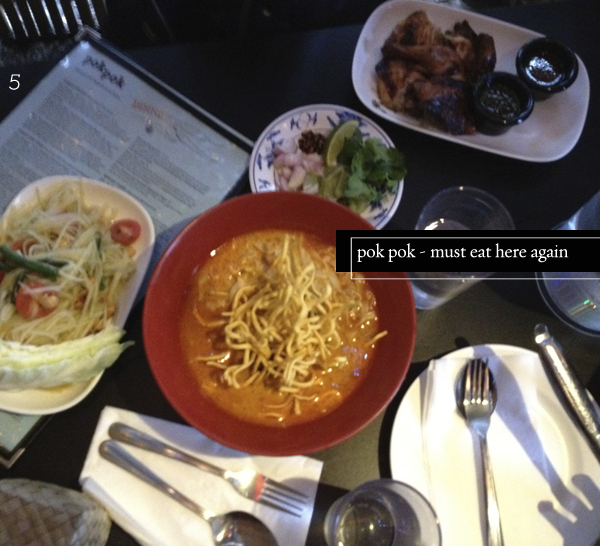 His text to me that night said "Pok Pok was a big pokking mistake." I'm so intrigued now based on your recommendation. Is it good, or is it gross? So funny. @Emily Foley -- Sorry to hear that you have a crazy traveler too! Also bummed out your husband had a bad experience at Pok Pok. I didn't know it was on that show, crazy. Hmmm... I had a great experience. @Jenny - It is helpful to have help when you can. My husband was with us for part of the trip and also the different family and friends we visited were so thoughtful and helped out too. @JASR - So true, thanks! I have 3 kids age 6,8 and 11 and find that occasionally splitting them up for trips works better. Family trips are great but can get chaotic and you end up more exhausted than before the holiday! I treasure the one-on-one time with them and they love it too. At 9 the eldest went to London with me and it was SO special. My middle daughter has her turn next year and she is already looking forward to it. Great bonding time! My family has a place in Maine, and I've always wondered how true it is when people say that Portland, ME, and Portland, OR, are very similar. Judging by these pictures, I'm inclined to say they seem it! And I'm certainly inspired to visit! My little one is a horror on the plane. The last time we took a flight, she cried endlessly. The stewardess offered all the people around us free drinks. Then after Maeve finally fell asleep, the stewardess woke her up when she insisted I buckle my seatbelt. More tears, of course. Sadly, the car is not much better. One of my favorite tricks is masking tape. Not to tape up her mouth (ha), but for play! I stick it onto the back of her hands. It's a short spot of calm, but she does enjoy it. My husband and I had one of the best meals of our lives when visiting here...everything was to die for! Your kids are so cute!Hope you have a wonderful trip!